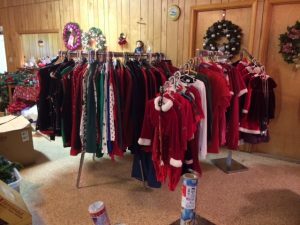 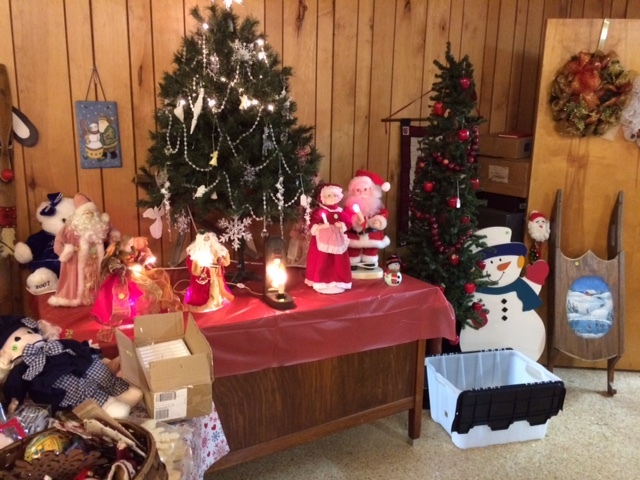 The Angels Christmas Store is located in Floyd VA on E Main St in the former Odd Fellows Lodge, next door to The Floyd Press, and across the street from the CVS Floyd Pharmacy. It will be open on Tuesdays, Fridays, and Saturdays from 9 AM-5PM until it closes on December 24. 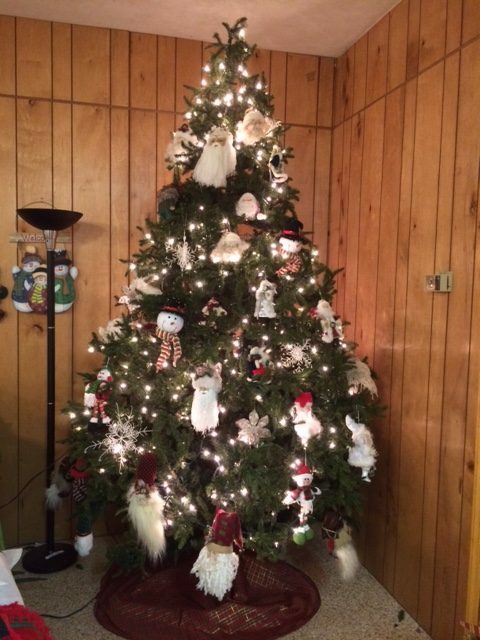 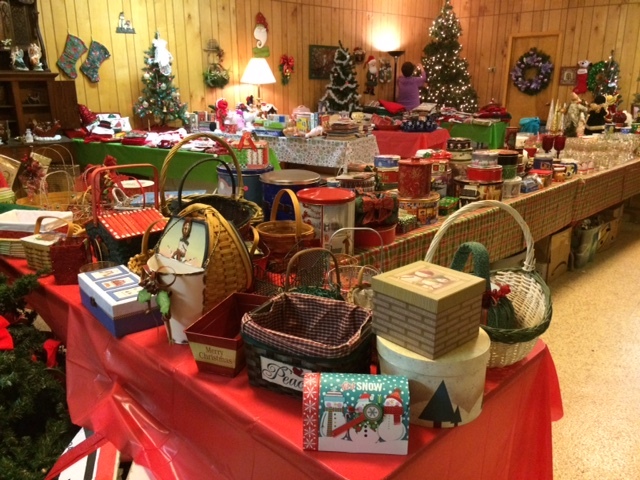 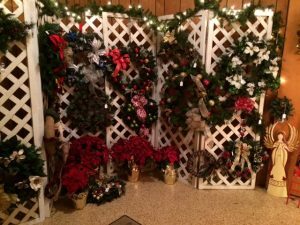 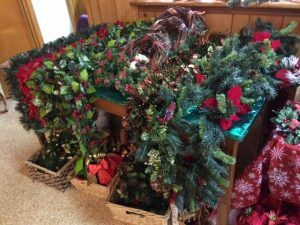 Everything you would want for Christmas is available for sale: wrapping paper, Christmas cards, ornaments, lights, wreaths, stuffed animals, dolls, linens, glassware, decorations, tins, tree stands, clothes, books, and a few trees. 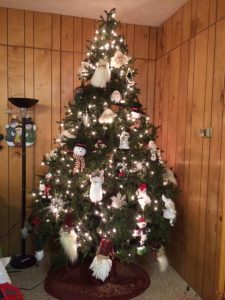 If you would like to buy a whole tree along with every hanging ornament, just ask. 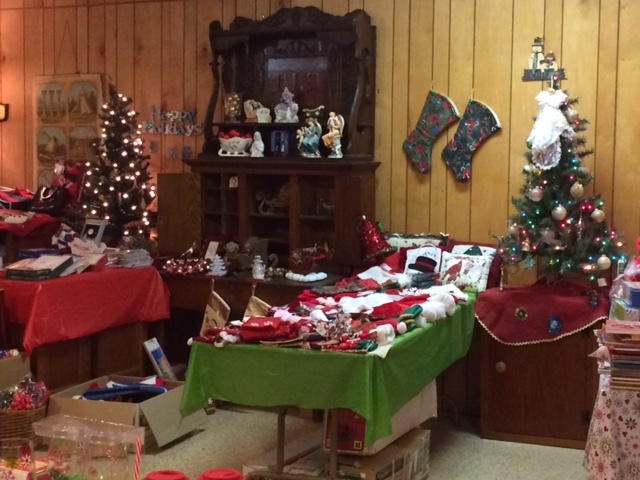 The photos below were taken yesterday, so all that you see in the way of Christmas items are for sale. 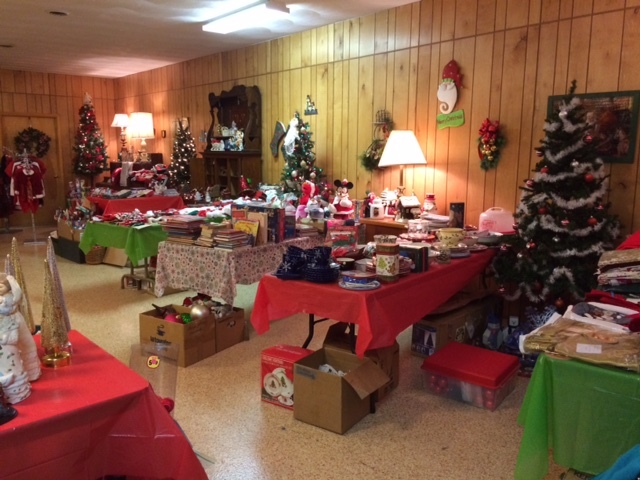 Click on the photos to enlarge them so you can view all the items that are there waiting for you. Angels in the Attic is a non-profit charitable organization and the revenue, after expenses, is donated to local organizations that help feed the needy, aid the elderly and children, and provide for public safety.